In yet another example of scapegoating the Gülen movement for any wrongdoing in Turkey or in anywhere else in the world, the ruling Justice and Development’s (AK Party) vice chairman and Istanbul deputy Mustafa Ataş said FETÖ was responsible for harsh police reaction to protesters in Gezi demonstrations in 2013. “Do you remember how people were provoked when police officers who set fire to tents in Gezi park, fired water cannons onto them, right? Now, we can see more clearly that those provocateurs were all affiliated with FETÖ,” Ataş said. However, Ataş also said it was FETÖ that plotted all protests in Gezi park. Last week, President Erdoğan’s chief advisor Yiğit Bulut hinted at connections between FETÖ and the 9/11 terrorist attacks in the US. 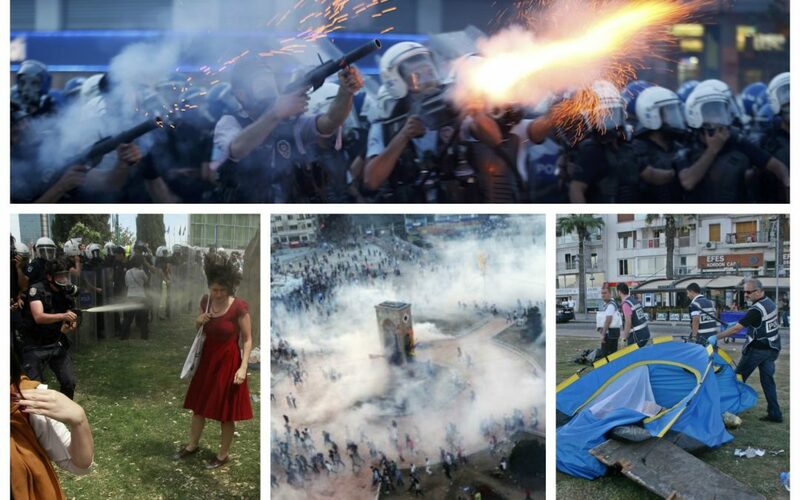 In mid-October, the infamous police officer who sprayed tear gas directly into the face of a female protestor during Gezi demonstrations, for which he received a suspended 20-month jail sentence, blamed his superior, whom he considers to be affiliated with the movement.